Open the big rig to roll out a buildable race car with real racing sounds! 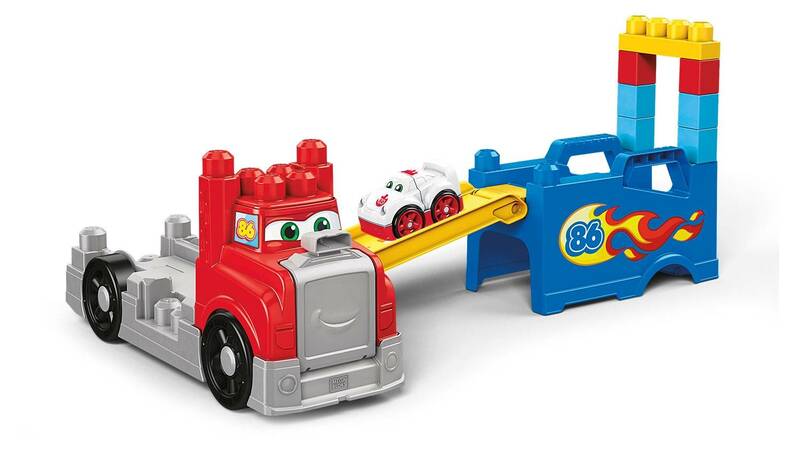 Little racing fans can zoom into adventure with this big rig truck and a buildable race car that makes real racing sounds! 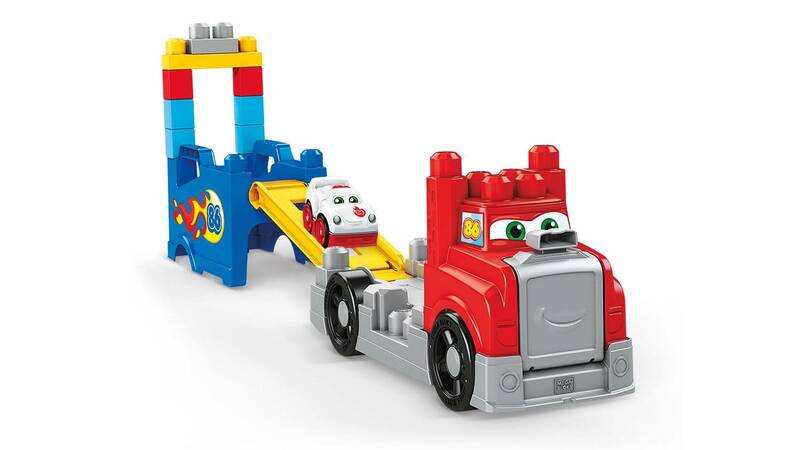 Reconfigure the big rig and use the truck’s body as a base for the included building blocks and race track pieces. Arrange the ramp different ways to build all kinds of racing stunts. 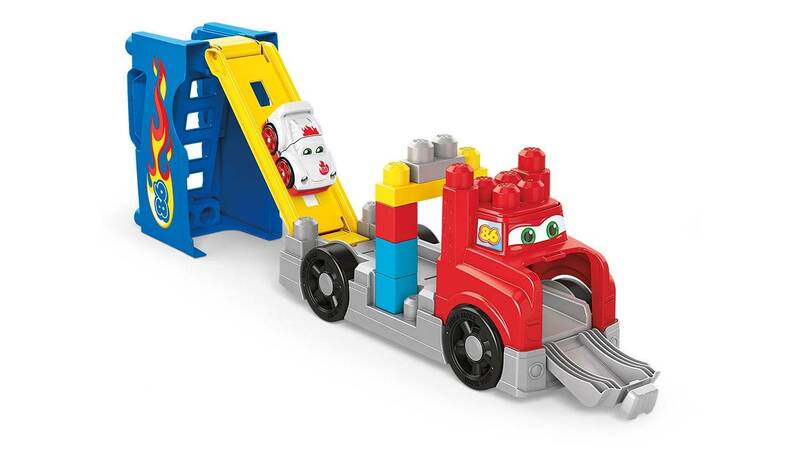 Send the race car down the track to the finish line, then pack up and haul out when you put everything away inside the rig until the next race! 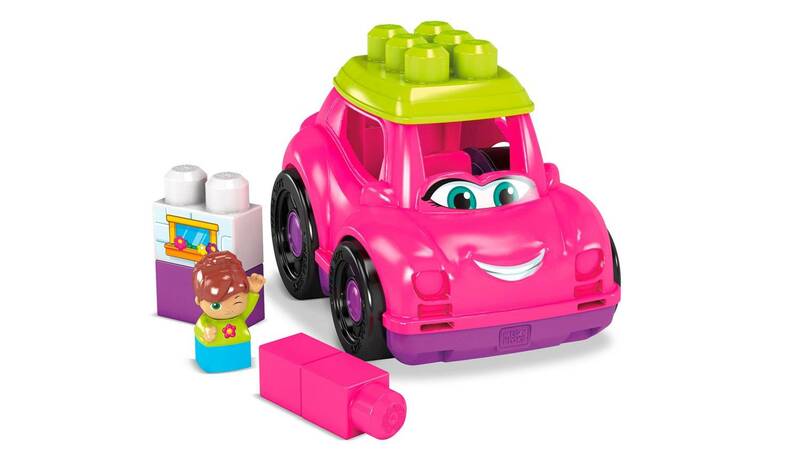 • Includes easy-to-build race car that makes 5 racing sounds! 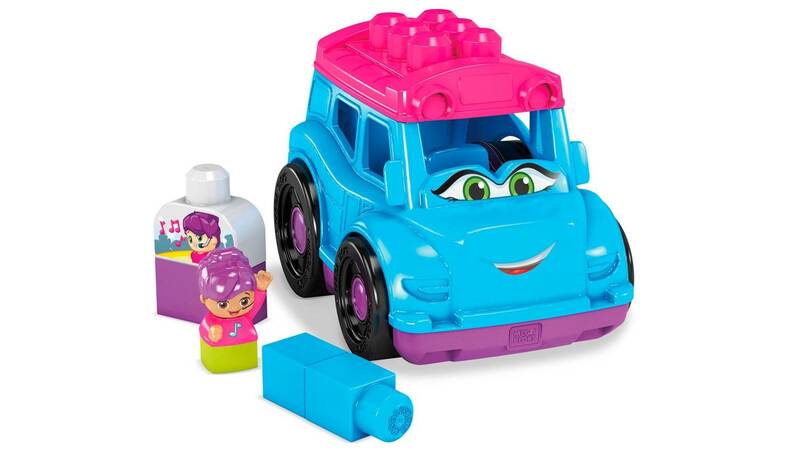 • Connect multiple Mega Bloks® racing-themed sets for even more speedy fun! 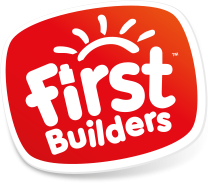 • Combine with other Mega Bloks® preschool toys and build them up!